New Media Photography students took a class trip to see Brandon Stanton speak on campus. Brandon is a UGA grad and founder of Humans of New York (HONY), which is a photographic catalog of New York City residents and their stories. The website produced a bestselling book, and HONY has millions of followers on Facebook, Twitter and Instagram. 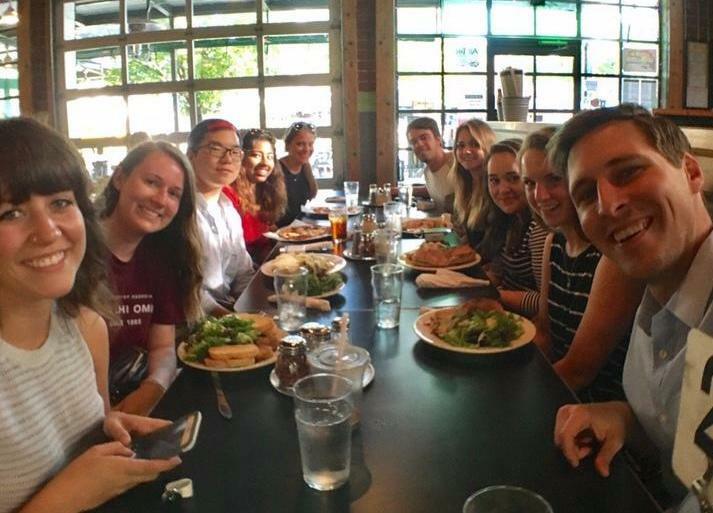 Before Brandon’s talk, the class enjoyed dinner at Ted’s Most Best, bonding over their new smartphone camera lenses and taking photos of their food like good millennials. Later, in a packed-out Tate Grand Hall, the class listened as Brandon spoke about how he followed his passion for people and photography and began to create HONY only a few months after he first picked up a camera. Our photography students left the event inspired to continue shooting, learning, exploring and spreading positivity through their work.